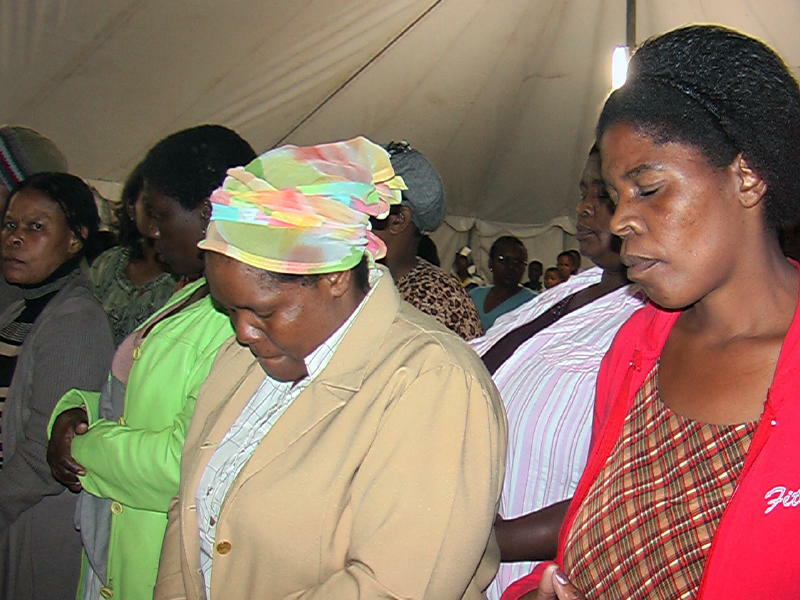 In our last update, we mentioned how we were going to begin ministering in tent outreaches into Zulu areas with a Zulu pastor. The very end of January, we began such an outreach. The Durban area is very hilly and many of the Zulus will build a small dwelling on the sides of hills where they are able to find work. 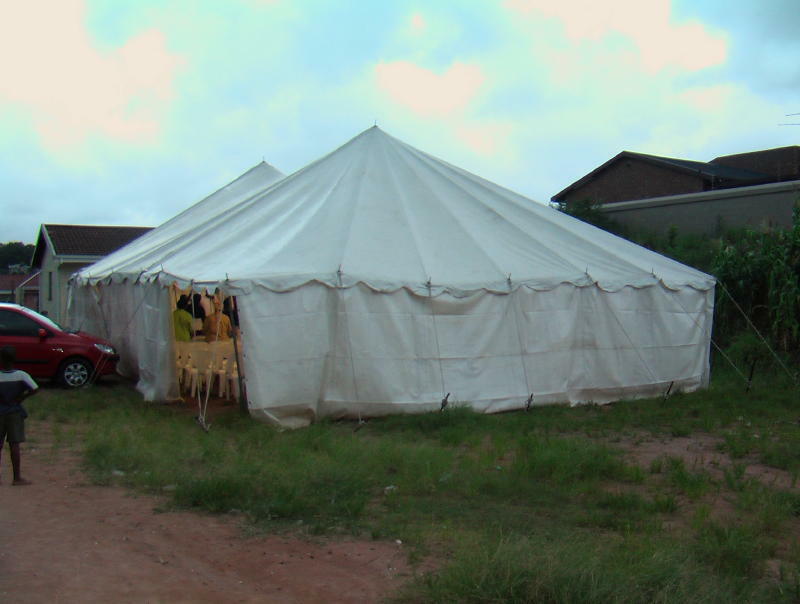 Instead of trying to have a large outreach that requires advertisement and requires people to travel to the venue, the pastor believes that the need is to bring small tents to where the people are living on those hills. The end of January, a small tent that seats 150 people was set up on the top of a hill. Each night the tent was filled with the people from that hill. 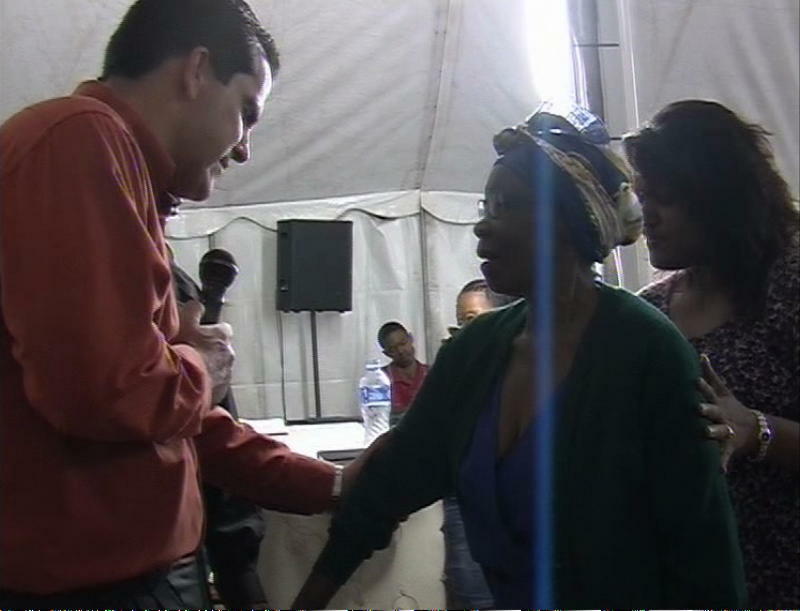 Each night people received Jesus as Saviour and Healer. 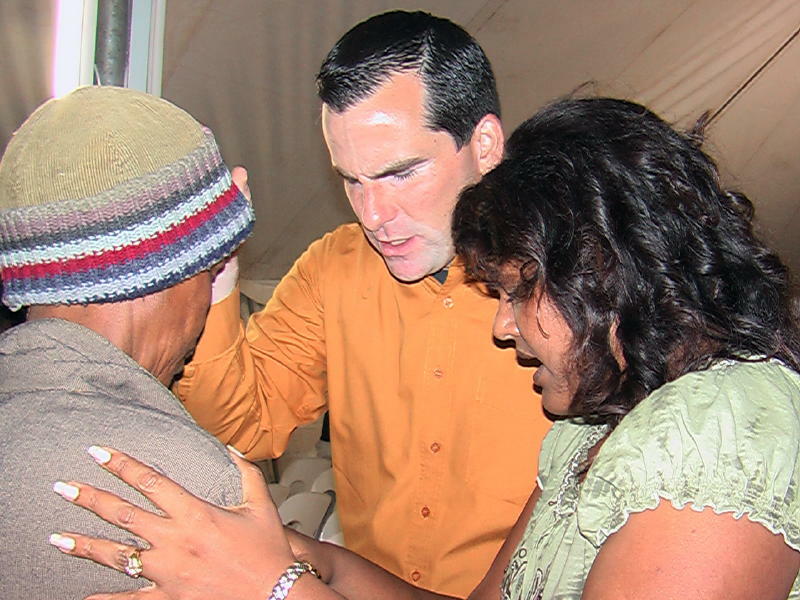 One of the nights, after I ministered the Word, only one person came forward to receive Jesus. Praise God for that one person, but we knew there were more! After asking for people to come forward to be healed, more than twenty came forward. Usually, I like to be able to lay hands on everyone. Being that the tent was not very big, more than twenty was able to pack the tent beyond measure up at the front. There was no way that Lisa and I were going to be able to maneuver in that small area. As I was thinking about what to do, the Lord gave me the idea to let the people lay hands on themselves and to follow the instructions given about ministering healing to themselves in the name of Jesus. After asking for a show of hands of those whom Jesus healed, EVERYONE RAISED THEIR HANDS. After Jesus revealed Himself and the reality of His Lordship in this manner, we asked again who wanted to believe and receive Jesus. At least 10 more people responded and received Jesus! That is what it is all about! Seeing Jesus make Himself real and people finding out for themselves that God loves them and that He is close, not distant! The next night, after ministering the Word, we were able to pray for one lady who was mostly paralyzed on her right side due to a stroke. 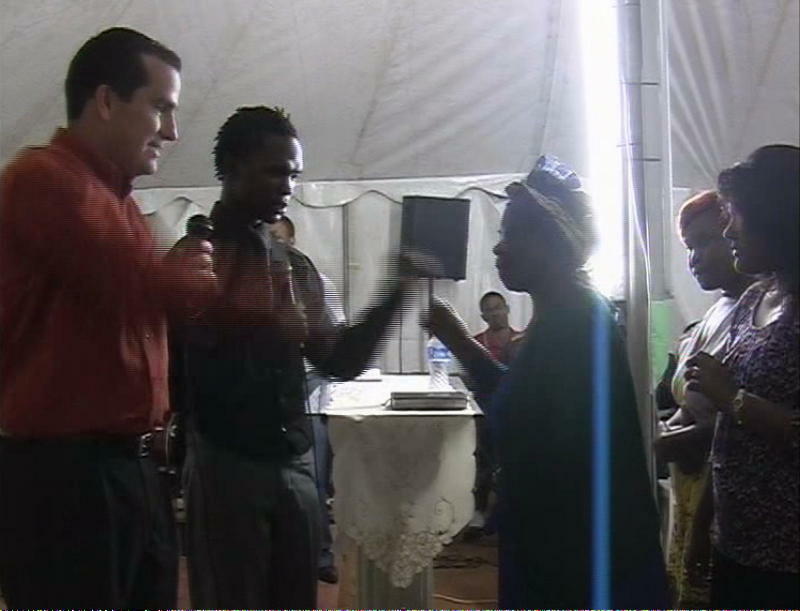 After ministering to her, she was swinging her right arm. I thought that the paralysis must not have been too bad since she was able to move her arm so effortlessly. When I asked her to do something that she wasn’t able to do before, she stated that she wasn’t able to swing her arm before. She said that there was still some stiffness, so we prayed for her again. She was totally healed and she is now holding a fork and eating with her right hand. It is so awesome seeing Jesus touch people’s lives! If you would like to see a short video clip of the tent outreach and the healing just mentioned, go to our website www.kemi-inc.org. On the main page to the right, there will be a video to see the short clip. It never gets old seeing Jesus minister to people and watching Him show the world His love and power. 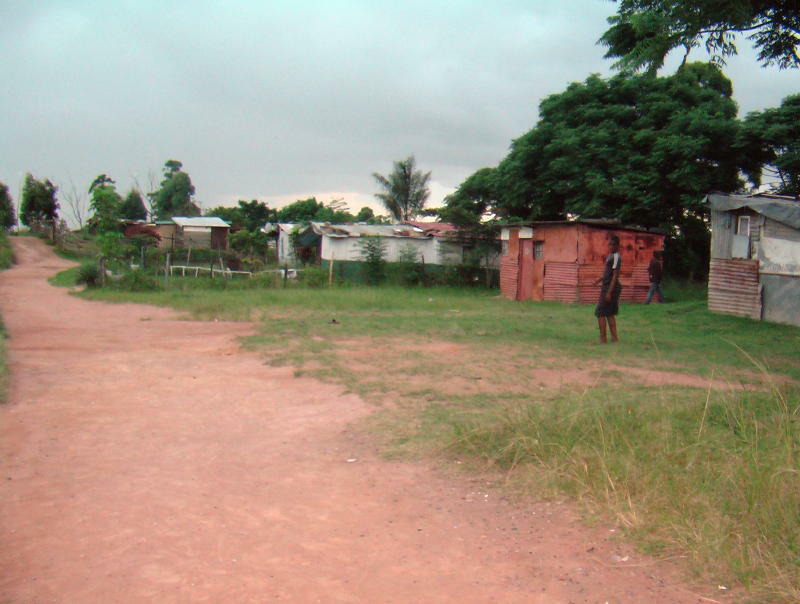 If you are not a partner with this ministry, prayerfully consider becoming a partner. We are believing for more monthly partners so that the outreach can increase.